Welcome to Kaylee Burns' Web Page! Here's some pictures of me taken before I was born! Here are some pictures taken of me by my Uncle Garess when I was 8 weeks old! Pictures from my first visit from Grandpa Dennis and Grandma Bonnie! 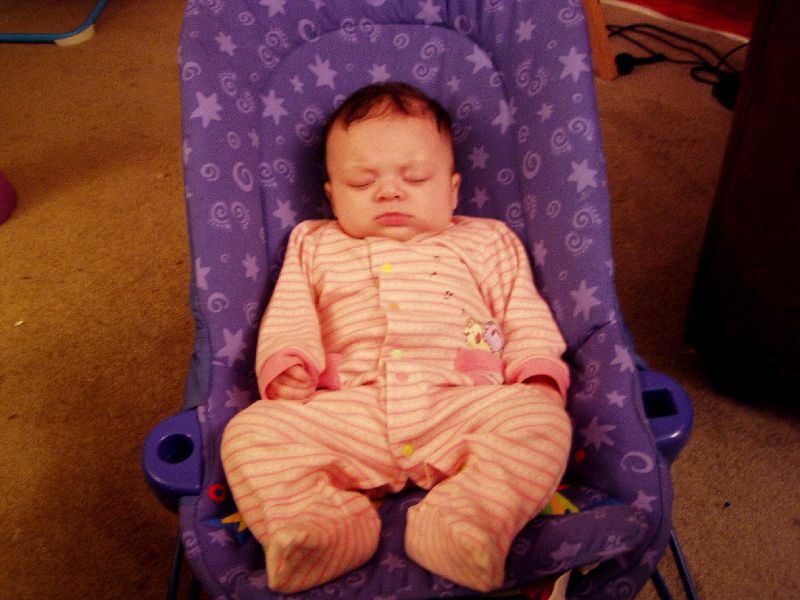 Here's a picture of me sleeping, taken by my Nana Pat! More pictures from Nana Pat and Marty's visit! Here are some pictures of me in my very first Halloween costume! Mommy learning how to use Daddy's camera!